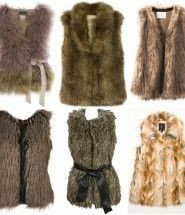 Are you looking for the trendiest piece of this fall season? Then think about over the knee boots. 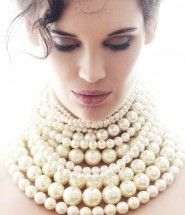 Whether you choose high or low heels, in leather or suede, black or burgundy, they are the fall/winter 2015-2016 must-have accessory. 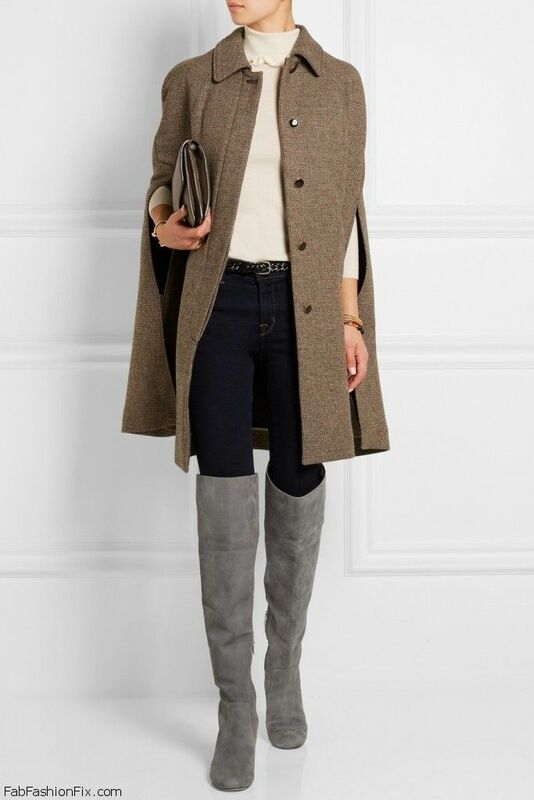 In case you have missed it, see our Style Guide: How to wear over-the-knee boots this winter? Keep in mind that they are quite versatile to wear from work to weekend while providing you with coverage against cold wind and giving you style. Stuart Weitzman the Highland Boot (721 Euros). ASOS Kill Joy Platform Over The Knee Boots (83 Euros). ZARA flat leather boots with fringe details (152 Euros). 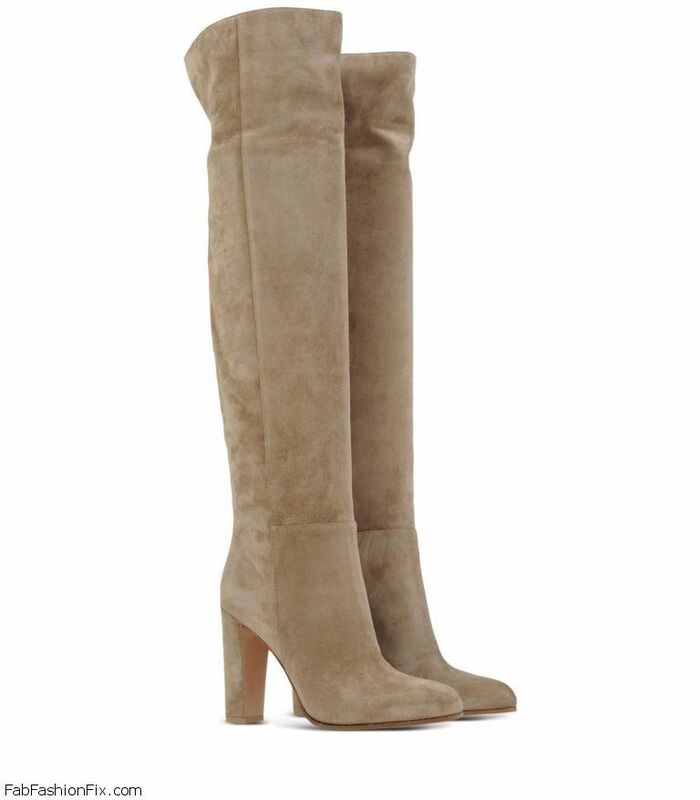 SAM EDELMAN Elina suede over-the-knee boots (226 Euros). 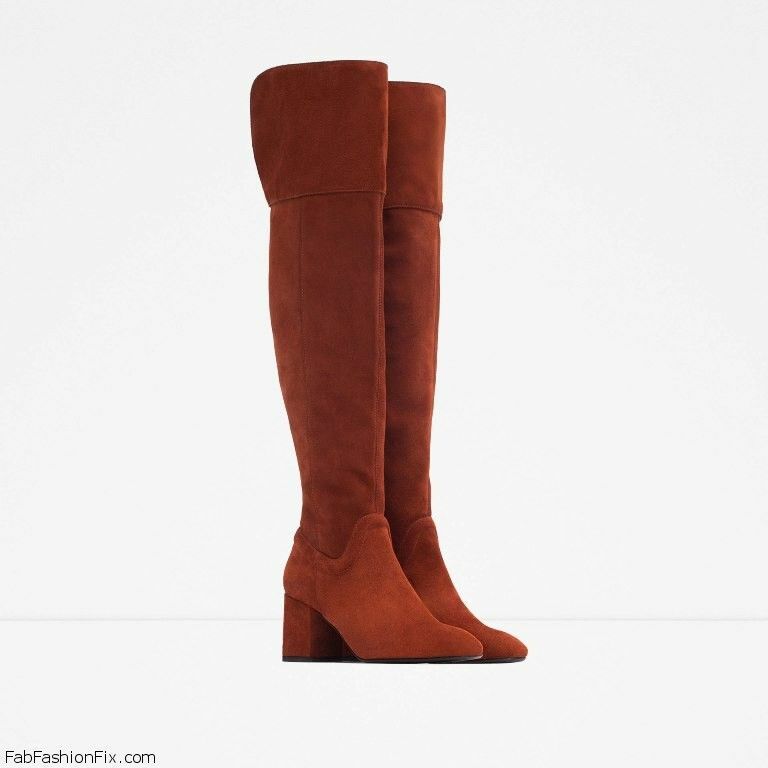 TOP SHOP Suede Over The Knee Boots ( 174 Euros). 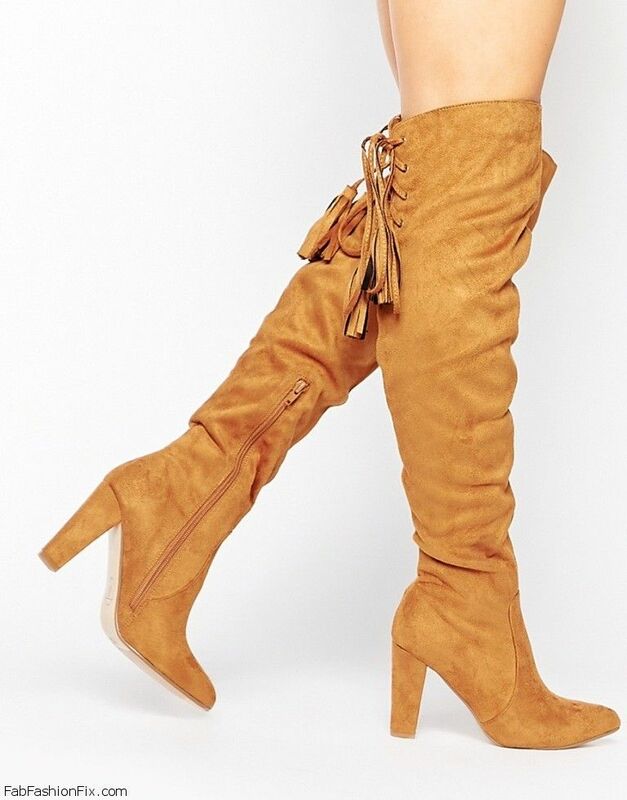 Missguided Heeled Over The Knee Boot with Lace Up Back ( 63 Euros). 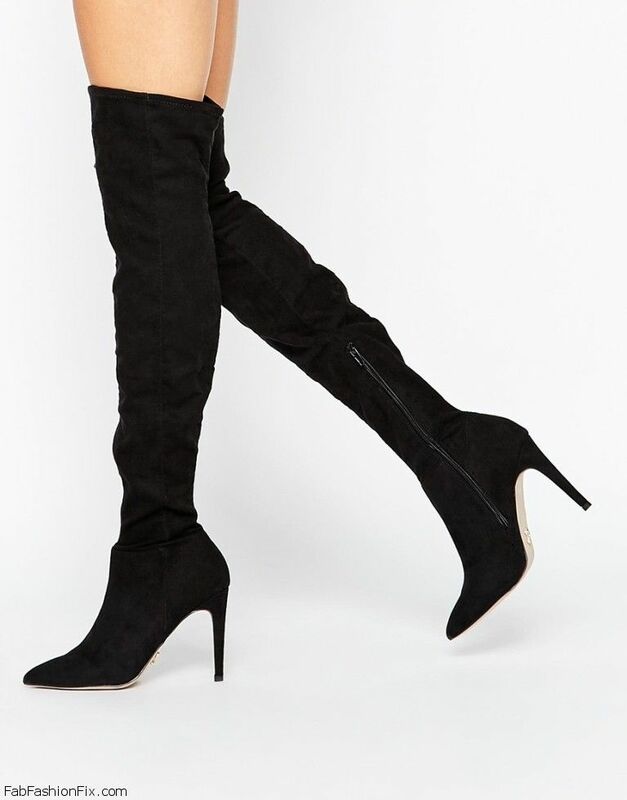 Lipsy Karen Over The Knee Boots (138 Euros). Miss KG Venice Tan Over The Knee Boots ( 209 Euros). Call It Spring Conwill Black Stretch Heeled Over The Knee Boots ( 105 Euros). H&M tigh-high boots in imitation suede (55 Euros). 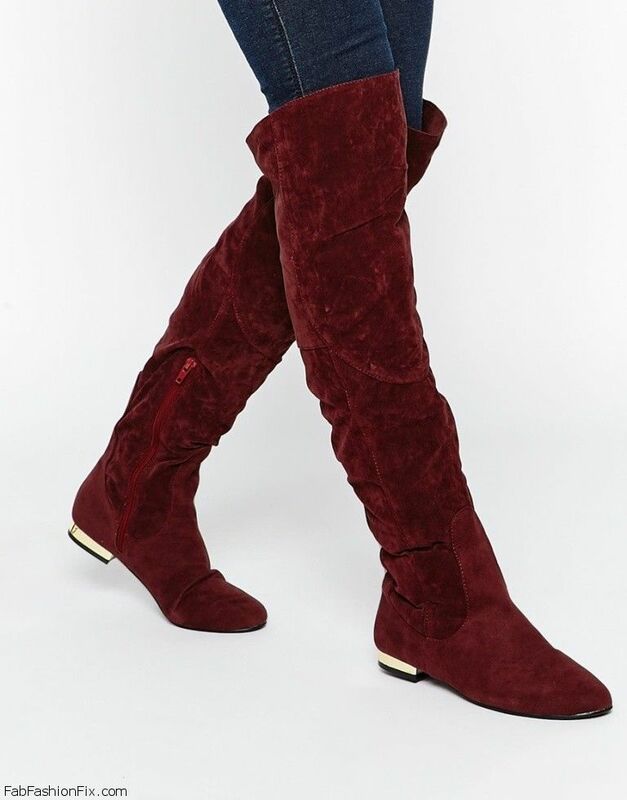 Daisy Street Oxblood Flat Over The Knee Boots ( 55 Euros). 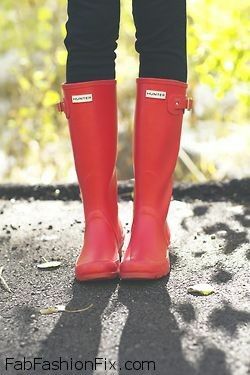 ZARA Over-the-knee high heal leather boots in boller red color (52 Euros). ASOS Key to my heart Lace Up Over the Knee Boots (84 Euros). 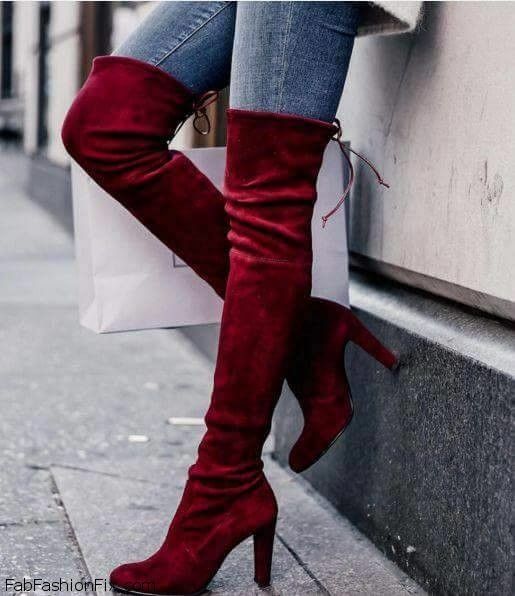 GIANVITO ROSSI Suede Over-The-Knee Boot ( 1,624 Euros). 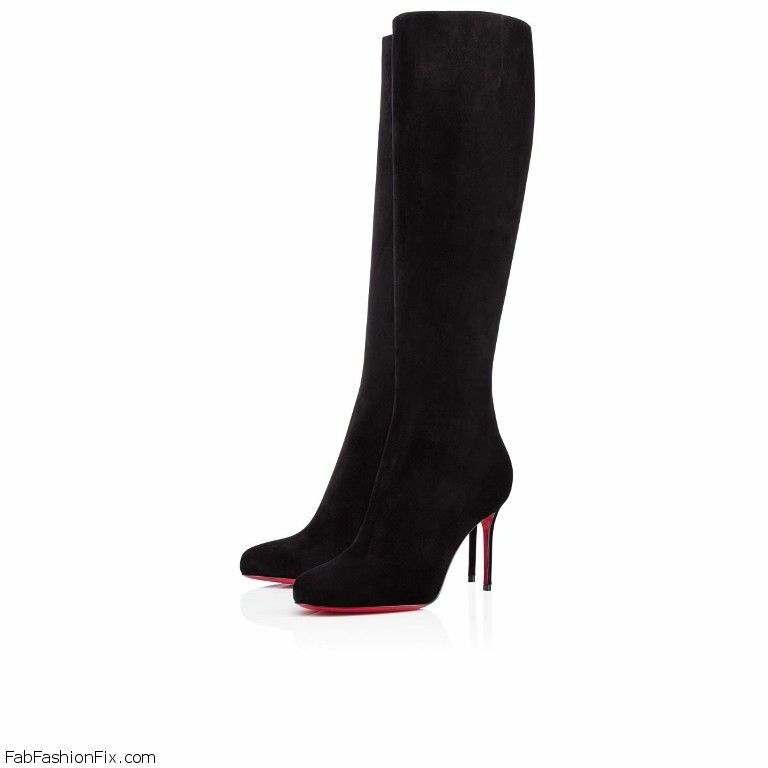 Christian Louboutin “Fifi Botta” is an exquisite knee-high boot for lovers of “Fifi’s” feminine silhouette ( 1,172,00 Euros).